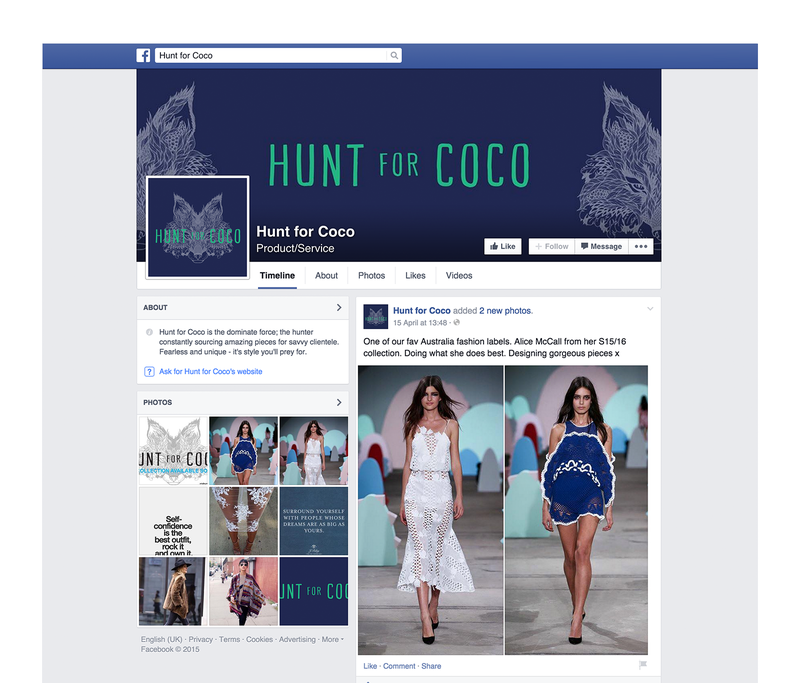 Hunt For Coco is an exciting new online apparel brand. In order to reflect the passionate and cutting edge nature of the start-up business, Rising decided to focus on an illustration of a wolf. This wolf is a unique and non-cliched symbol for ‘hunt’ and although these animals hunt in packs, there is always one leader. 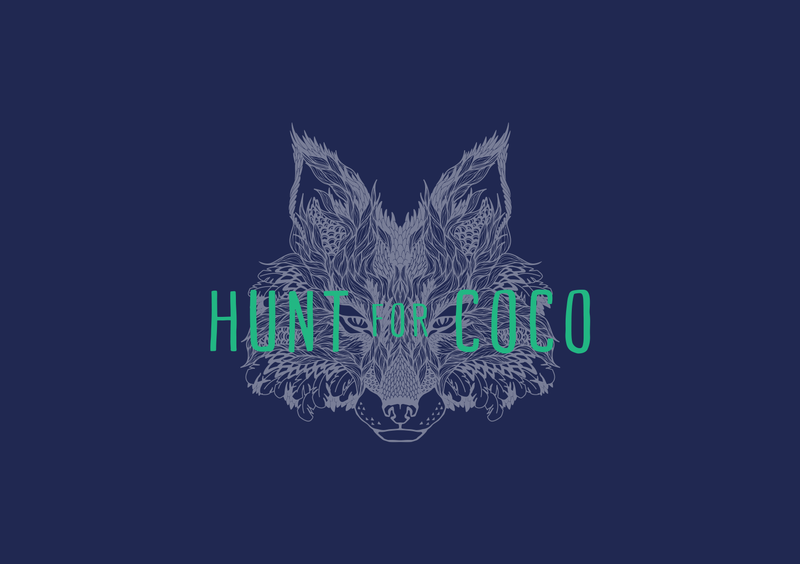 And for us, that signifies Hunt For Coco. 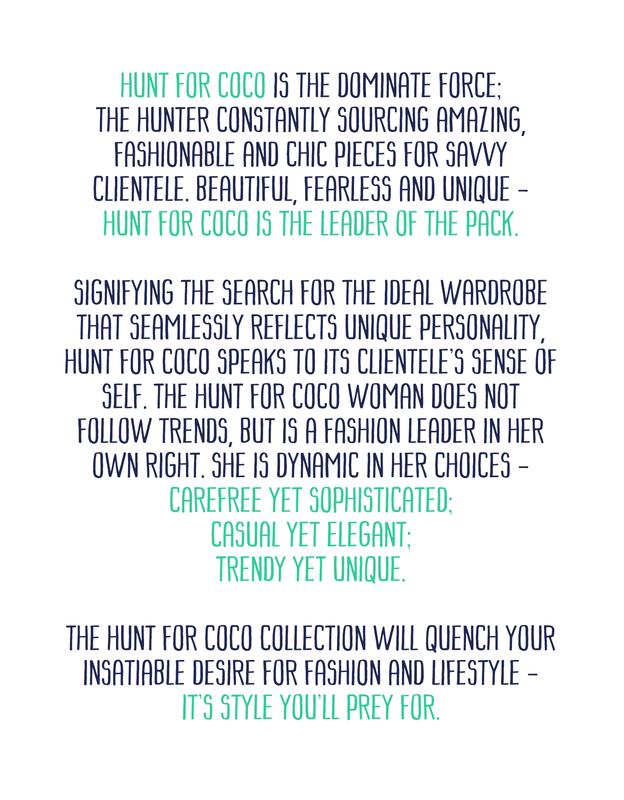 Hunt For Coco is always the dominate force, the hunter looking to source amazing pieces for their clientele. 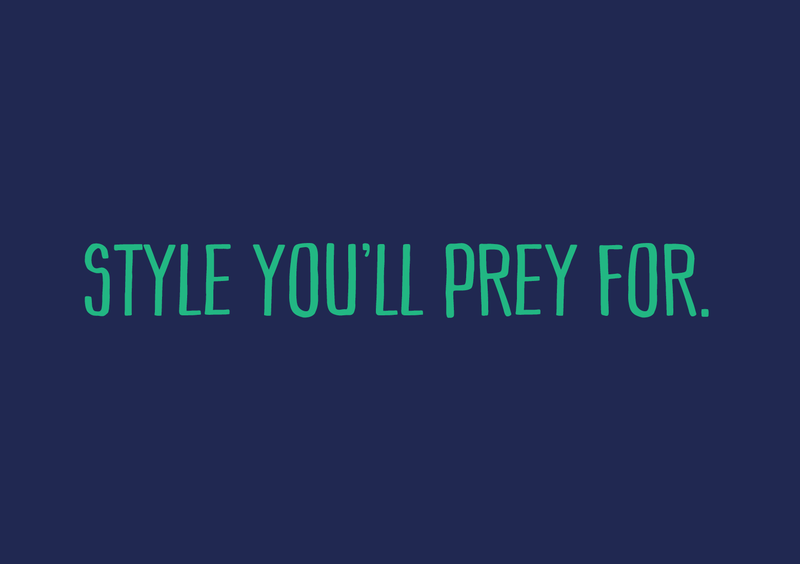 The hunter is beautiful, fearless, unique and dominant – a leader of the pack. Plus, the imagery with the overlapping pastel font is extremely impactful and dramatic – leaving an indelible mark on clients as the branding is easily recognisable, therefore building on brand equity in a competitive online market.